Let's face it: Selling an unfinished house can be challenging at the best of times. Buyers can have trouble visualizing what an unfinished property could look like when renovated and this can be a deal-breaker. What if there was an easier way to sell an unfinished property? Now there is, and it's called virtual renovation! It's really simple. You upload your image through BoxBrownie.com. 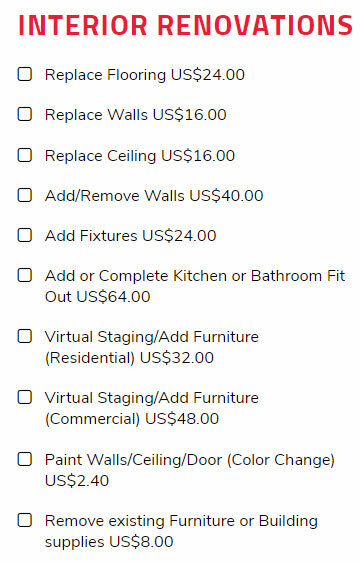 Select from a range of different edits, such as Replace Flooring or Replace Walls. Add any instructions and submit. Turnaround time is five working days and the price will depend on how many different types of edits you require. It's always best to check with your MLS. Some will allow you to post the virtually renovated images; some will require a disclaimer in the corner; and some do not allow it. Yes, there is! BoxBrownie.com offers many different real estate-related photo edits. You'll receive three image enhancement edits and one day to dusk edit on sign-up for absolutely free. No strings attached and no credit card required on sign-up. There are no free edits available for the virtual renovation edit.